Should You Let Your Royal Oak Renters Hang Christmas Lights? 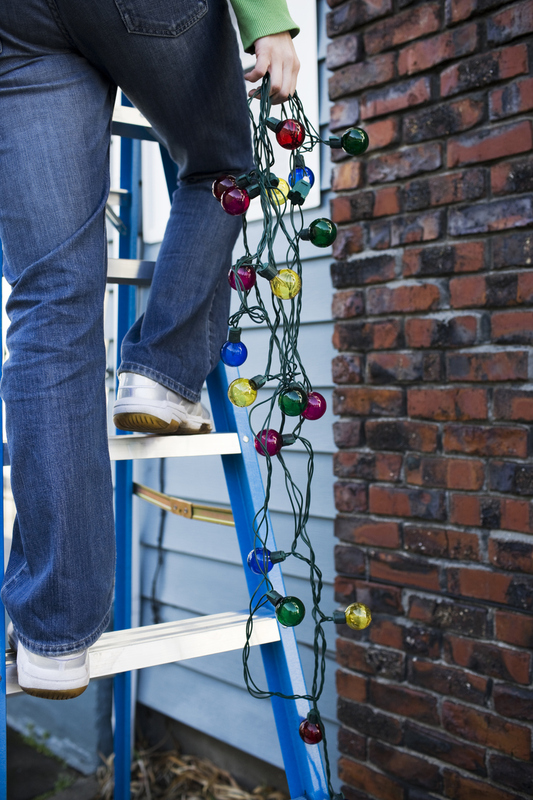 Tis the Season: Should You Let Your Royal Oak Renters Hang Christmas Lights? Bedecking the house for the Christmas is a time-honored tradition for renters and homeowners alike. Many tenants want to adorn their eaves and windows with strings of lights, adding a cheerful twinkle to long winter night, but hanging Christmas lights on a house is by no means, as effortless – or as safe – as putting up other holiday decorations. Additionally, you can’t entirely be positively sure what the final result will be, as everyone has countless concepts of what comprises a tasteful holiday display. For multiple reasons, Royal Oak property owners and landlords must ponder before allowing their renters to hang Christmas lights by themselves. As stated by the U.S. Consumer Product Safety Commission, there are over 1,000 serious injuries generated by hanging Christmas decorations each year. Falls, electrical shocks, cuts, and abrasions severe enough to bring people to the emergency room are only a small number of prospective dangers of hanging lights. Another liability risk constitutes decorations that breach the regulations of Common Interest Communities (commonly known as Homeowner Associations) and other local governances. A CIC, may have severe policies about how many and what variety of Christmas decorations are authorized, and furthermore when and how long they may be displayed. If your tenant violates CIC regulations, you may find yourself on the hook for fines, disciplinary action, or other unwanted consequences. Making sure your property is complying may demand that you ban renters from hanging their own Christmas lights. Even though no one aspires to be a holiday grinch, the liability that is associated with tenants putting together their own Christmas decorating is not something property owners can afford to leave to chance. So, thus the seriousness of discussing and delineating a good set of common-sense holiday decorating guidelines with your tenants. No matter the season, it’s essential to supervise your properties attentively, a service that is a basic section of the Real Property Management Metro Detroit system of property management. Our expert property managers perceive the needfulness of doing regular property evaluations and making certain your tenants are safe and in compliance with their lease. To comprehend more, please contact us online or call us at 248-808-6550 today.